My professional strength as a leader only blossomed after I completed the Hoffman Process in 2001, allowing me to take on roles effortlessly that previously intimidated me. Not a lack of intelligence or skills, just unresolved emotional baggage that corrupted every relationship at work, play and with family. I have since realised that release of my AUTHENTIC LEADERSHIP required strong development of and connections between one’s intellect – and most importantly one’s emotions. Greater control of reactivity and ego – with wisdom – are the characteristics of the best leaders. This requires processing of our “deep emotional reactivity from stuff” that we all carry from our childhood. There is probably no better value approach to clear the decks for authentic leadership than the Hoffman Process. Skills development is trivial, shallow and unsustainable in comparison. “An unprocessed life is not worth living” could aptly be re-written as “an unprocessed life (with unresolved stuff causing damaging reactivity) is the major barrier to true leadership.” Anyone finding blocks in their leadership journey should consider the Hoffman Process as a powerful way to get to the root causes that undermine us daily. Once they are cleared, then we become the true leaders we can best be. Love and Light!” my already grown-up children was not really healthy either; without considering after few months’ time I would had become grandfather for the first time. Cornered as I was I had to make a choice, either becoming a victim or more responsible. I chose the latest and the Hoffman Quadrinity Process was the best option I thought I had. I was right, because that was the start of a new life. The process was not the miracle, but what I got from it helped me to create my miracle. I changed my life! Yes it takes time to process all the learning, the insights. It takes endurance, hard work because at the end is not about what happen in life, but what we do with what is happening. The worst feeling is not to know what to do, the feeling of being prisoner in my own brain. Well, that is what the Hoffman Process gave me, the key to open the cage. Sometimes it was scarring out of the cage, but I had a new awareness, a new strength inside, a big hope, and with trust, courage and the help of God I changed my life. 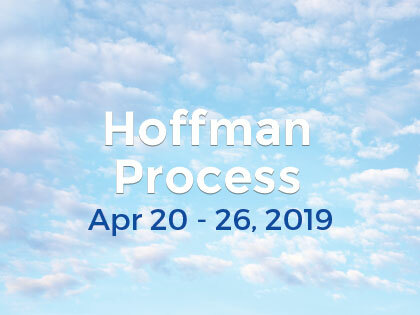 Since I started my new profession as Counsellor, I have been referring clients to the Hoffman Process in a regular basis because I believe it makes a difference.